This is the newly labeled Suspend Polyzone with a "food handling"product label. Suspend Polyzone FH will replace Suspend Polyzone asinventory depletes. Suspend PolyZone FH features a proprietarypolymer layer that protects the active ingredient from weather,irrigation and mechanical abrasion. 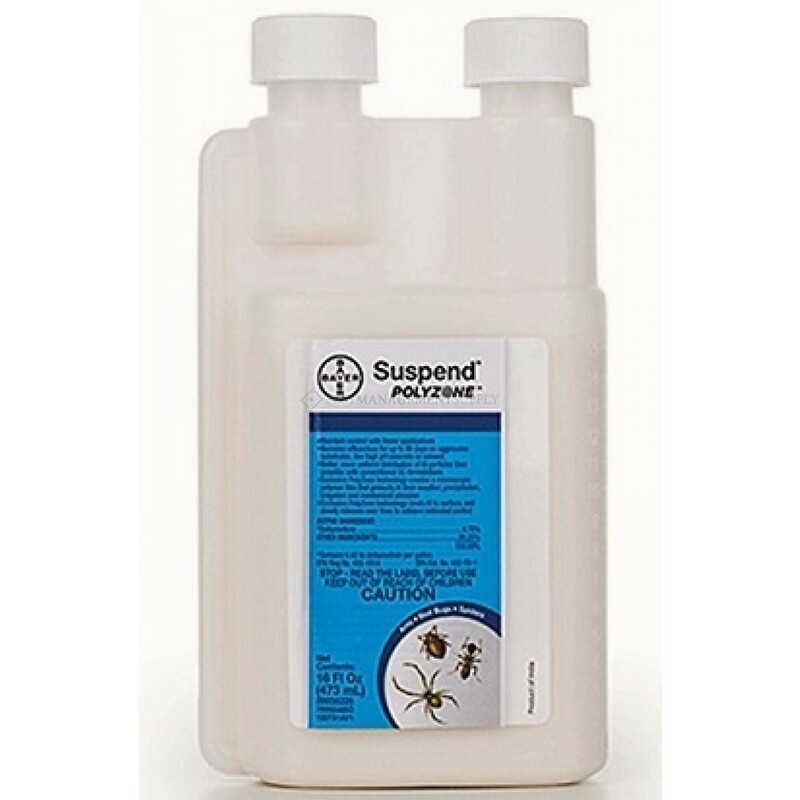 This controlled releaseformulation, which resists erosion, ensures your treatment willcontinue to control targeted pests for up to 90 days outdoors. Italso stays right where you put it, so if you want to increase theeffectiveness of your treatments, put the science of Suspend®PolyZone® to work for you. The only solution with a proven 90-dayoutdoor residual! 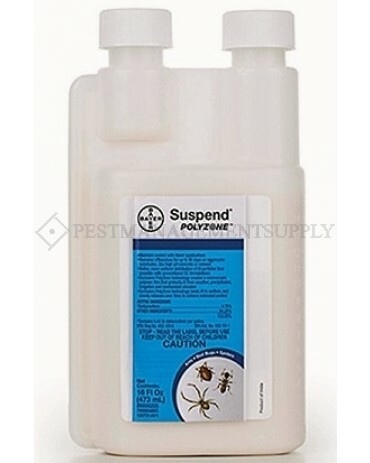 Target Pests Ants bed bugs boxelder bugs brown marmorated stink bugs, carpenter ants carpet beetles centipedes clothes moths, cockroaches crickets earwigs firebrats fleas flies fruit flies gnats hornets millipedes mosquitoes moths multi-colored Asian lady beetles pillbugs scorpions silverfish spiders, ticks wasps yellow jackets Please see the product label for a full list of pests.